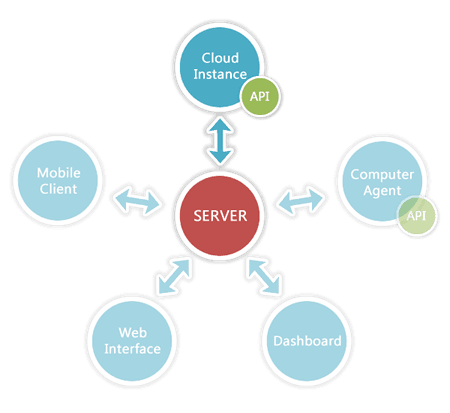 Pulseway Cloud API is a headless client that gets implemented directly into the application. This way you can monitor, manage and control your application instances from wherever you are. Ever wondered how many products you've sold this month, how many active users you have connected to your application server or what are the current values of some sensors from a I/O Board? With our Cloud API you can do this and more! It's only limit is your imagination. Cloud API works exactly like Pulseway but instead of computer details you get information and commands about your application instance.